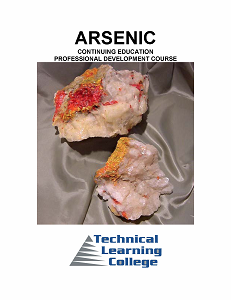 This course will review the EPA Arsenic Rule and different Arsenic removal devices and methods. 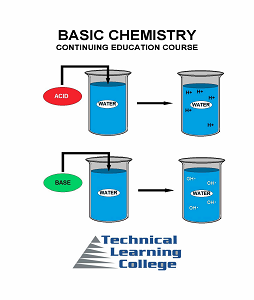 This course will cover water and wastewater fundamentals/principles along with basic chemistry. This course is general in nature and not state specific. You will not need any other materials for this course. 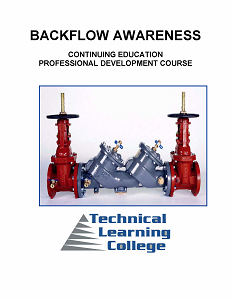 The Backflow Awareness CEU training course is a review of various cross-connection, backflow and plumbing-related fundamentals and hydraulic principles. 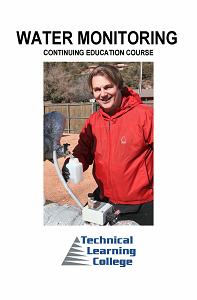 This course covers the basics of backflow prevention, cross-connection control, water quality issues, and hydraulic laws, (Pascal and Bernoulli). Proper backflow prevention is critical to maintaining a water source free of bacteriological sources and other contaminates. 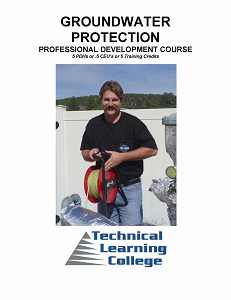 This course will review various backflow related threats. Assignment Instructions The course booklet that you purchase does not have the assignment. The assignment contains the registration form, answer key and assignment test. The downloadable links for this course assignment are below, click and save to your computer. Not Computer Savvy? Live support is provided Monday through Thursday 7 am – 4 pm, Arizona Time. Call 1-866-557-1746 or email info@tlch2o.com. During off-hours, voicemail and email is monitored; you will be contacted as soon as possible. This CEU course is a review of Environmental Protection Agency’s Rules and Regulation relating to proper biological water sampling, water sample preservation, reporting, bacterial MCLS and other related microbiological/sampling concerns. 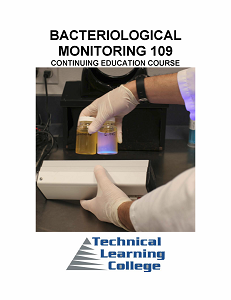 This course will cover the basic requirements of the federal rule concerning water sampling, the Total Coliform Rule (TCR) and general laboratory bacteriological procedures. This CEU course reviews commonly found water and wastewater diseases, symptoms, and identification techniques. 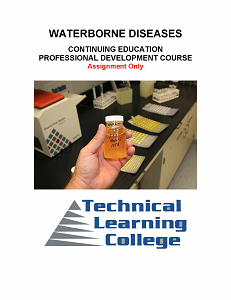 This course covers water and wastewater sampling techniques, waterborne disease identification and control, general water quality operations and definitions, disease symptoms and diagnosis, and history, susceptibility, and sources of contamination. This course applies to all categories of water treatment/distribution and wastewater treatment/ collection. As water/wastewater professionals, it is our responsibility to identify, stop, and control all waterborne diseases. 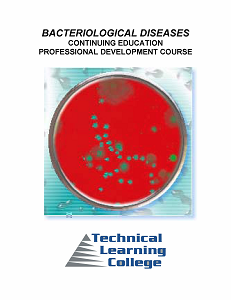 This CEU Course is a continuation of Bacteriological Diseases volume one and will review in detail of commonly found water and wastewater pathogens/diseases, symptoms, and identification techniques. This course will cover water and wastewater sampling techniques, waterborne disease identification ND control, general water quality operations and definitions. It will also cover disease symptoms, disease diagnosis, and history of the disease, susceptibility, and disease sources of contamination. This course will apply to all categories of water treatment/distribution and wastewater treatment/collection. As water professionals, it is our responsibility to identify, stop, and control all waterborne diseases. This CEU course is a review of Environmental Protection Agency’s Rules and Regulation relating to proper biological water sampling, water sample preservation, reporting, bacterial MCLS and other related microbiological/sampling concerns. Many of the diseases that people contract are caused by bacteria and viruses. These organisms exist almost everywhere and untreated water may contain disease-producing bacteria. Therefore, Safe Drinking Water Act (SDWA) requires that each public water system have a microbiological test of its water on a prescribed schedule. Surface water from creeks, ponds, lakes and rivers always contain coliform bacteria. Many wells and springs will also contain coliform bacteria. Drinking water suppliers are required to monitor and test their water many times, for many things, before sending it to consumers. These tests determine whether and how the water needs to be treated, as well as the effectiveness of the treatment process. This five hour continuing education course is a non-lab course that introduces the students to basic chemistry principles. Topics covered include the periodic table, atoms and molecules, the pH scale and experimental design and techniques. You will understand atoms and molecules. You will be able to classify elements and compounds. You will learn about chemical bonds including ionic and covalent bonding. This course will help you to gain a good knowledge of the reactions between acids and bases and understanding pH. This course will teach you the meaning of ions, particles, gases, liquids, solids, soluble and insoluble mixtures. You will understand other interesting areas of chemistry. 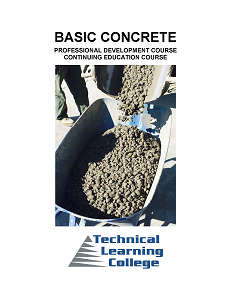 To provide two hours of continuing education training in understanding the fundamentals of cement or concrete products, types, purposes, slump, additives and finishing. Review of energy and electrical systems and related electrical/math fundamentals. 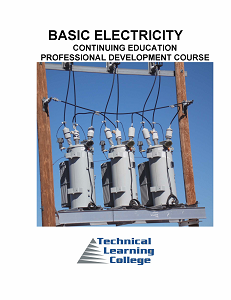 This course will also cover Single and Three Phase Power, transformers and general electrical principles. 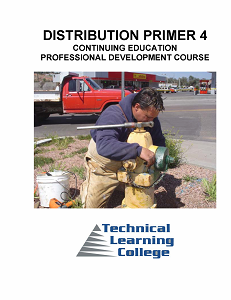 This course is a review of water distribution plumbing and related fundamentals, and covers the basics of piping, valves, backflow prevention, water quality, and hydraulic fundamentals. The target audience includes a wide variety of people, including, but not limited to, water distribution operators, well drillers, pump installers, water treatment operators, wastewater treatment operators, wastewater collection operators, industrial wastewater operators, onsite installer, maintenance, and plumbers. Also included are people interested in working in a water or wastewater treatment or distribution/collection facility, performing basic or light plumbing, wishing to maintain CEUs for a certification license, wanting to learn how to perform their job safely and effectively, and/or to meet education needs for promotion. This course is provided to new supervisors or those that have been supervisors for some time, as a practical way of getting a supervisor off to a successful start. After you have completed this course and after a period of job adjustment time as a supervisor, you may want to seek additional supervisor training to add to your success. Take advantage of all training offered to you and become the successful supervisor for which we all want to work. 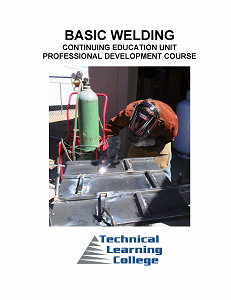 This continuing education course will cover basic electric, gas welding, cutting and welding safety principles. The student will be provided with the fundamental principles of joining ferrous and non-ferrous metals, welding and cutting processes, equipment operation, and safety procedures. The student will understand the need to safely use oxy-acetylene cutting equipment and Arc Welding processes. This course will also cover Fire Prevention Program and “Emergency action plan” -1910.38(a)(1) are to make sure employers and employees know about potential fire hazards, how to recognize them and, most importantly, how to protect themselves and correct the hazards. This course is designed to help reduce the possible incidence of fire related illness and injuries. 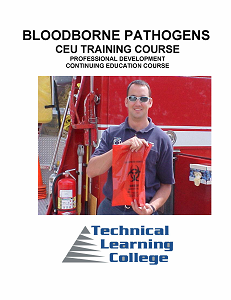 This short CEU course is a review of bloodborne pathogen prevention and elimination training information. 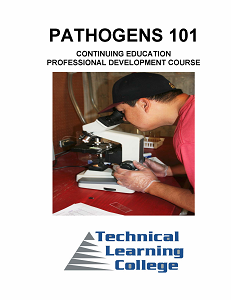 This course will cover basic bloodborne pathogens, related diseases and the Federal OSHA BBP Rule. This course is general in nature and not state specific. You will not need any other materials for this course. This is not a comprehensive blood or bloodborne pathogen manual. Chemical contaminants (IOCs, SOCs, VOCs) are rather simple chemicals present in ground water and in wastewater. These chemicals are generally described as mineral in nature and usually exist as ions (chemical substances with a positive or negative charge) when dissolved in water or illegally dumped by industrial users. Typical contaminant examples include sodium, iron, calcium, magnesium, manganese, nitrate, chloride, sulfate, and zinc. Many of these chemicals are naturally occurring minerals that are dissolved from the rock/soil which make up the aquifer or water-bearing rock formations below the soil surface. However, some of these compounds may be introduced into ground water or wastewater by human activities. Nitrate (an agricultural fertilizer) and sodium chloride (road salt) are two examples. Water purveyors and POTWs need to test for 30 different inorganic compounds including all arsenic, barium, cadmium, lead, mercury, selenium, and thallium. The basic goal of a chemical handling program is to make sure that employers and employees know about potential work hazards, how to recognize them, and, most importantly, how to protect themselves. This CEU course is designed to help reduce the possible incidents of chemical source illness and injuries. Chlorination has been proven to be very effective against bacteria and viruses. However, it cannot disinfect all waterborne pathogens. Certain pathogens, namely protozoan cysts, are resistant to the effects of chlorine. 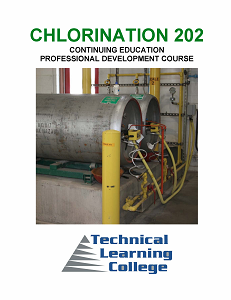 This course will focus upon gaseous and liquid form of chlorine (Cl2) which is a water additive used by municipal water systems to control microbes. It is relatively inexpensive and has the lowest production and operating costs and longest history for large continuous disinfection operations. Chlorine is a powerful oxidant. 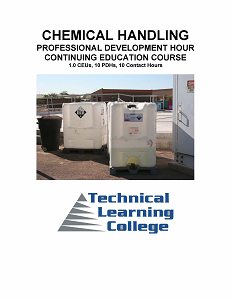 The main purpose of this course is to provide continuing education in understanding various chlorination methods for disinfecting water and wastewater. We will examine disinfection methods like ozonation and ultraviolet radiation, and understand the chemical process of conventional chlorination. We will also cover general chlorine/disinfection laboratory testing procedures. Chlorination has been proven to be very effective against bacteria and viruses. However, it cannot disinfect all waterborne pathogens. Certain pathogens, namely protozoan cysts, are resistant to the effects of chlorine. Chlorine is a powerful oxidant. At times, distribution systems can be a fair distance from the storage tanks and in dead end sections or where water is not used pathogens may re-grow if a proper (chlorine) residual is cannot be maintained in the treated water sent out for consumption or with wastewater, the effluent need chlorination and de-chlorination. This results in poor water quality as well as slime and biofilms in the distribution systems that will end up contaminating the clean, treated water being distributed or in wastewater, effluent that hasn’t been properly disinfected. This correspondence CEU course covers the fundamentals of water/wastewater disinfection using conventional halogen based disinfectants, beginning with the source of the water and ending with the disinfection and final distribution, ensuring that it meets federal compliance and will cover the primary water pathogens. Task analysis and training needs assessments have been conducted to determine or set needs-to-know for this course. 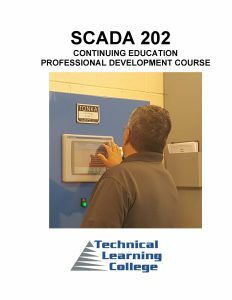 The goal of this CEU course is to provide disinfection and safety training to help workers recognize the occupational hazards and health effects of different disinfectants, halogens, chlorine exposure and the exposure controls, and to familiarize the participants with the properties and safe handling of chlorine (solid, liquid, gas) and the operation of gas chlorinators and other related equipment. 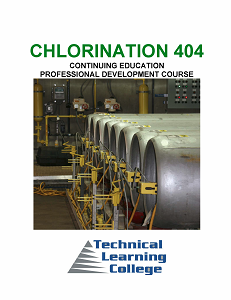 This course covers properties of chlorine, purpose of chlorine, chlorine terminology, dosage calculations, chlorinator equipment, chlorine cylinders, operation of gas chlorinators (start up and shut down), chlorinator maintenance, troubleshooting common problems, chlorine safety, and chlorine testing procedures. This course will also cover in detail various waterborne pathogens, detailed water sampling, and water monitoring procedures. This CEU course covers the fundamentals of water disinfection, beginning with the source of the water and ending with the disinfection and distribution, ensuring that it meets federal compliance. Task analysis and training needs assessments have been conducted to determine or set needs-to-know for this course. 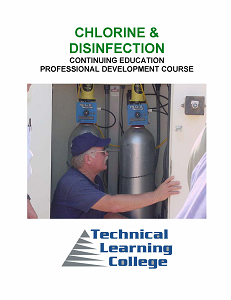 The goal of this CEU course is to provide awareness training to help workers recognize the occupational hazards and health effects of different disinfectants, halogens, chlorine exposure and the exposure controls, and to familiarize the participants with the properties and safe handling of chlorine (solid, liquid, gas) and the operation of gas chlorinators and other related equipment. 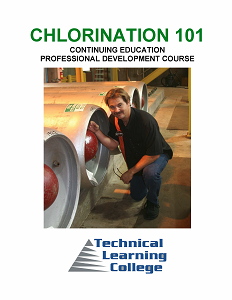 This course covers properties of chlorine, purpose of chlorine, chlorine terminology, dosage calculations, chlorinator equipment, chlorine cylinders, operation of gas chlorinators (start up and shut down), chlorinator maintenance, troubleshooting common problems, chlorine safety, and chlorine testing procedures. 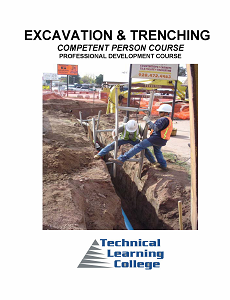 Review of the dangers of trenching and excavation and related safety fundamentals. 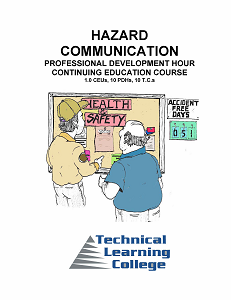 This course will cover the basic requirements of OSHA’s Competent Person 29 CFR 1926.650 Subpart F and other related federal safety rules. The Competent Person Program, as it is called, will require formal training and on-the-job experience. Many workplaces contain spaces that are considered “confined” because their configurations hinder the activities of any employees who must enter, work in, and exit them. For example, employees who work in process vessels generally must squeeze in and out through narrow openings and perform their tasks while cramped or contorted. OSHA uses the term “confined space” to describe such spaces. 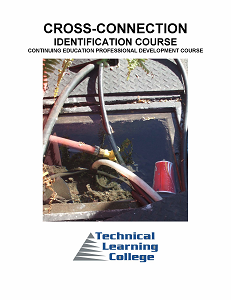 The (Hydraulic TCEQ title) Cross-Connection Identification CEU training course is a review of various cross-connection, backflow and plumbing-related concerns and hydraulic principles. 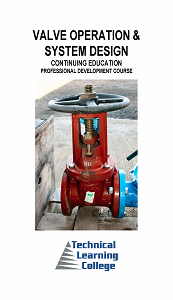 This course covers the basics of backflow prevention, assembly identification, cross-connection control, water quality issues, and hydraulic laws, (Pascal and Bernoulli). Disinfection is an important step in ensuring that water is safe to drink. Water systems add disinfectants to destroy microorganisms that can cause disease in humans. The Surface Water Treatment Rule requires public water systems to disinfect water obtained from surface water supplies or groundwater sources under the influence of surface water. Primary methods of disinfection are chlorination, chloramines, zone, and ultraviolet light. Other disinfection methods include chlorine dioxide, potassium permanganate, and nanofiltration. Since certain forms of chlorine react with organic material naturally present in many water sources to form harmful chemical by-products, the U.S. Environmental Protection Agency has proposed maximum levels for these contaminants. 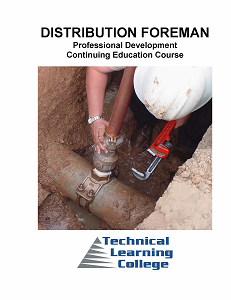 This CEU course will focus upon the essentials of operating a water distribution system and provide 12 training contact hours upon completion. 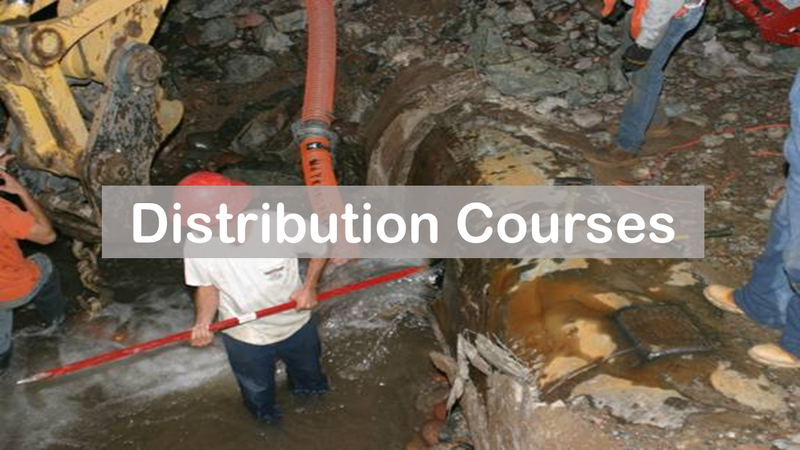 This course will start with the EPA rules concerning distribution, sampling and the new low brass requirements and go to the chlorination process, pathogen destruction and related waterborne diseases prevent, to cross-connection control and backflow prevention and finishing with valves, water mains, service connection and hydraulic principles. 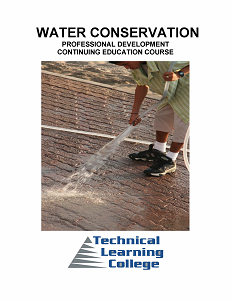 This CEU course will review various issues associated with water distribution. 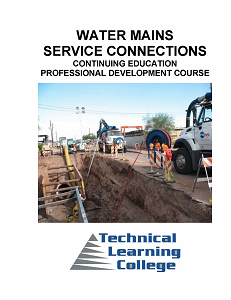 This course will cover water quality, sampling, proper water main installation, service connections, valves, backflow prevention and backflow prevention. This is a 36 hour review of the water distribution system, related groundwater production fundamentals and water quality issues. This course will cover the basic requirements of the Safe Drinking Water Act, safety and general water distribution/pumping principles. You will not need any other materials for this course. A continuing education training review course of water distribution systems, groundwater production components and related groundwater mining, disinfection, valve and related components, safety and hydraulic fundamentals. This course will cover the basic requirements of the Safe Drinking Water Act and general water distribution, hydraulic and backflow principles. You will not need any other materials for this course. 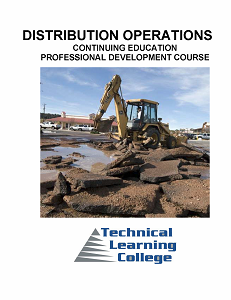 This course is a short review of water distribution systems and related treatment fundamentals that certificated operators should know in order to provide safe drinking water to the public. This course will cover the basic requirements of the Safe Drinking Water Act and general water distribution principles. You will not need any other materials for this course. Task Analysis and Training Needs Assessments have been conducted to determine or set Needs-To-Know for this course. The following is a listing of some of those who have conducted extensive valid studies from which TLC has based this program upon: The Environmental Protection Agency (EPA), the Arizona Department of Environmental Quality (ADEQ), the Texas Commission of Environmental Quality (TCEQ) and the Association of Boards of Certification (ABC). 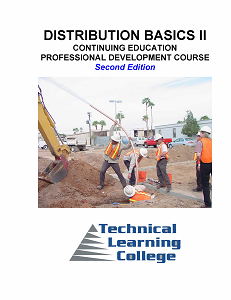 Review of water distribution systems and related treatment fundamentals. 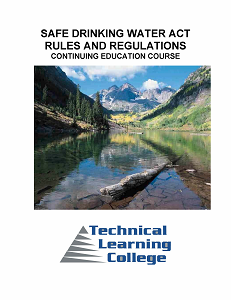 This course will cover the basic requirements of the Safe Drinking Water Act and general water distribution principles. You will not need any other materials for this course. Water Distribution, Well Drillers, Pump Installers, and Water Treatment Operators. The target audience for this course is the person interested in working in a water treatment or distribution facility and wishing to maintain CEUs for certification license or to learn how to do the job safely and effectively, and/or to meet education needs for promotion. This course will cover the necessary water distribution information for the intermediate level of water distribution/water treatment operator. This course consists of 4 chapters of increasing subject/task difficulty. Because of the explanation of Water Distribution and Water Treatment Methods and related water fundamentals and the detailed understanding of pumps and motors, this is an excellent course that applies to both Water Treatment and Distribution Operators. 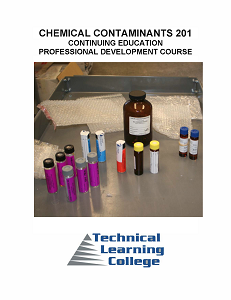 This course also covers in detail: Disinfection, Chlorine, O3 and disinfection alternatives, and byproduct fundamentals. Water Quality, Tastes and Odor Problems and MCL/EPA Rules and a basic understanding of how the rules were created and implemented will be covered. 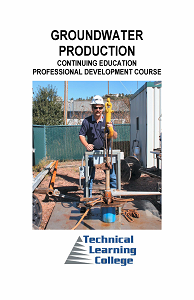 This course will also cover advanced groundwater production and protection with problem solving solutions. 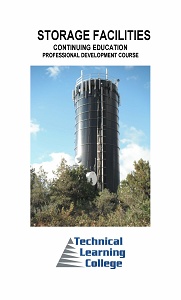 Review of water distribution systems and related groundwater treatment fundamentals. This course will cover the basic requirements of the Safe Drinking Water Act and general water distribution, groundwater production, and maintenance principles. You will not need any other materials for this course. This CEU course is a review of Environmental Protection Agency’s Rules and Regulation related to water quality and water sampling. This course will cover water quality fundamentals and basic requirements of the federal rule which concerning water sampling and general laboratory operations. This course will also cover water sampling techniques, waterborne disease identification, general water quality operations and definitions; disease symptoms, disease diagnosis, history, susceptibility, and disease sources of contamination. This course will apply to all categories of water treatment/distribution. An 8 hour continuing education review of various water distribution/ groundwater disinfection components, chlorination systems and disinfection byproduct information. This course will cover disinfection, disinfection byproducts, chlorination, sampling and commonly found waterborne diseases and bacteriological sampling. You will not need any other materials for this course. This 8 hour CEU course is a review of various pumps and motors and hydraulic principles utilized in groundwater production and distribution. 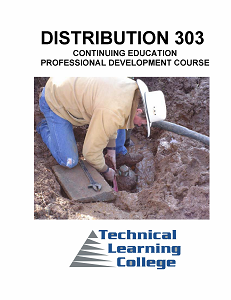 This CEU training course that will cover various distribution field work, from water mains to service connections. 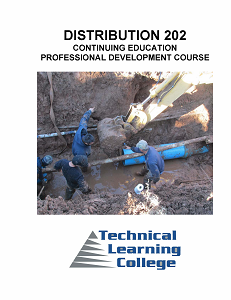 This short course will cover complex water distribution installation, repair methods and explain distribution equipment including backflow prevention, and cross-connection control concerns, complex valves and control devices found in the water distribution field and demonstrate on the assignment various and complex hydraulic ideas and related scientific concepts that are related to valve operations. 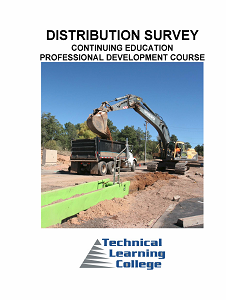 This course will also cover various and complex distribution related safety and trenching/shoring concerns. 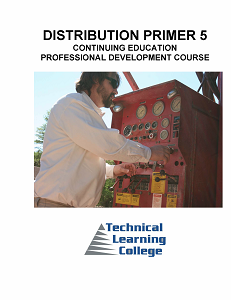 This CEU training course is a short explanation of groundwater production and groundwater mining methods along with working knowledge of related distribution pumps, motors and a short hydraulic principle review. A review of water distribution mains, service connections and related distribution components. This course will also cover the basic requirements of the Safe Drinking Water Act and general water distribution, groundwater production, cross-connection and maintenance principles. You will not need any other materials for this course. This CEU course will review various water distribution functions including groundwater production. 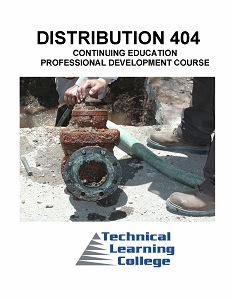 This course will cover water quality, sampling, proper water main installation, service connections, valves, backflow prevention and backflow prevention. The basic goal of the Fire Prevention Program and “Emergency action plan” -1910.38(a)(1) are to make sure employers and employees know about potential fire hazards, how to recognize them and, most importantly, how to protect themselves and correct the hazards. 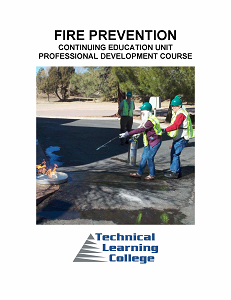 This course is designed to help reduce the possible incidence of fire related illness and injuries. This CEU course will review of the science of water in motion, hydraulic fundamentals and principles. The student will understand and describe various engineering science laws and theories pertaining to fluid(water) mechanics, hydraulics, liquid pressure, force, friction and flow. 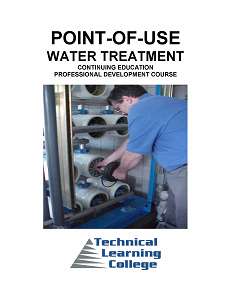 This CEU course will cover conventional water treatment and will provide 16 contact hours upon completion. Groundwater and surface water contain both dissolved and suspended particles. 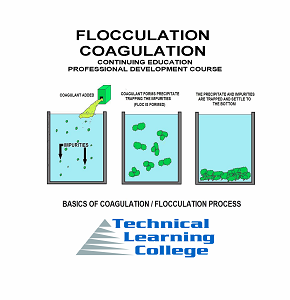 Coagulation and flocculation are used to separate the suspended solids portion from the water. Coagulation invariably requires addition of a chemical with a strong positive charge, such as aluminum sulfate (alum), to neutralize the negative electrostatic charges that allow particles to remain suspended in the raw water. Coagulation involves turbulent mixing of the coagulant chemical with the raw water. This CEU training course is a detailed explanation of water distribution, water treatment methods and related water fundamentals, groundwater mining along with detailed understanding pumps and motors. The explanation of groundwater production includes many water treatment methods, like chlorination, water sampling, understanding EPA rules and the detailed understanding pumps and motors. 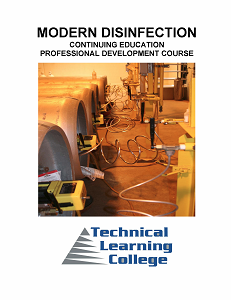 This course also covers in detail other disinfection methods, O3 and disinfection alternatives, byproduct fundamentals. This course will also cover general water quality issues like: tastes and odor problems and MCL/EPA rules and a basic understanding of how the rules were created and implemented will be covered. 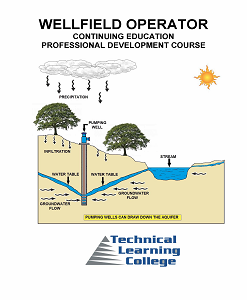 This course will also cover advanced groundwater production and protection with problem solving solutions. This course is intended to help you take an active and positive role in protecting your community’s ground-water supplies. It will introduce you to the natural cycle that supplies the earth with ground water, briefly explain how ground water can become contaminated, examine ways to protect our vulnerable ground-water supplies, and, most important of all, describe the roles you and your community can play in protecting valuable ground-water supplies. Hazardous waste is a serious safety and health problem that continues to endanger human and animal life and environmental quality. Hazardous waste — discarded chemicals that are toxic, flammable or corrosive — can cause fires, explosions, and pollution of air, water, and land. Unless hazardous waste is properly treated, stored, or disposed of, it will continue to do great harm to all living things that come into contact with it now or in the future. 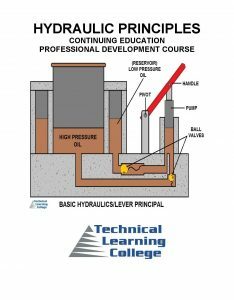 This short CEU course will review of hydraulic fundamentals and principles–from taking this CEU course, the student will develop an understanding of the engineering science pertaining to liquid pressure and flow. This course will cover the basics of hydraulic fundamentals commonly related to the study of the mechanical properties of water. This course will also examine hydrostatics or fluid mechanics as well as the history and development of pumps, hydraulics and the science of fluids. This training course will present several familiar topics in hydraulics and hydrostatics which often appear in most educational expositions of introductory science, and which are also of historical interest that can enliven a student’s educational experience. A water laboratory analyst is a person who performs collection of samples and assists in carrying out laboratory chemical and biological tests on water, wastewater, and industrial wastes. The analyst also carries out field investigations to determine and minimize wastewater problems. 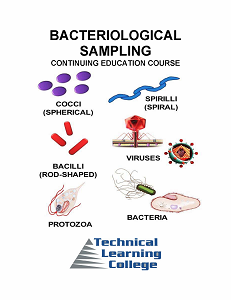 This distance learning CEU training course will examine various aspects of conventional water/wastewater laboratory analyst in understanding sampling rules, methods and procedures and examination of common waterborne pathogens. 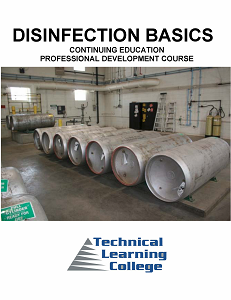 This course was designed to provide continuing education credit to water and/ or wastewater treatment operators. 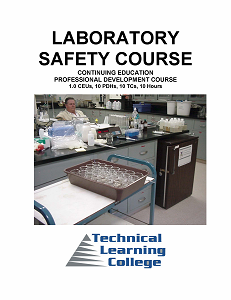 The goal of a Laboratory Safety and Chemical Hygiene Program is to make sure employers and employees know about potential work hazards, how to recognize them and, most importantly, how to protect themselves. 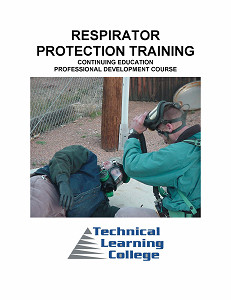 This course is designed to help reduce the possible incidence of chemical source illness and injuries. 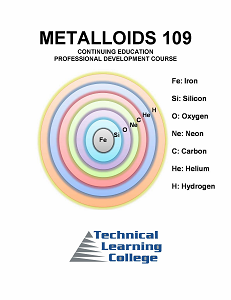 Arsenic, boron, silicon, germanium, antimony and tellurium are commonly classified as metalloids. A metalloid is a chemical element with properties that are in-between or a mixture of those of metals and nonmetals, and which is considered to be difficult to classify unambiguously as either a metal or a nonmetal. This course covers the fundamentals of water or wastewater disinfection, beginning with the source of the water and ending with the proper disinfection and final distribution, ensuring that the water or wastewater meets federal compliance. Task analysis and training needs assessments have been conducted to determine or set needs-to-know for this course. 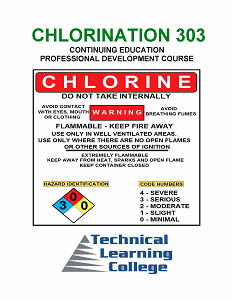 The goal of this CEU course is to provide awareness training to help workers recognize the occupational hazards and health effects of different disinfectants, halogens, chlorine exposure and the exposure controls, and to familiarize the participants with the properties and safe handling of chlorine (solid, liquid, gas) and the operation of gas chlorinators and other related equipment. 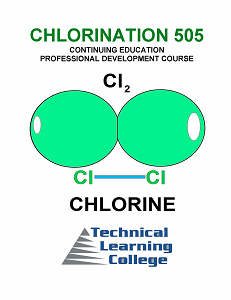 This course covers properties of chlorine, purpose of chlorine, chlorine terminology, dosage calculations, chlorinator equipment, chlorine cylinders, operation of gas chlorinators (start up and shut down), chlorinator maintenance, troubleshooting common problems, chlorine safety, and chlorine testing procedures. Management is a large part of today’s business and public works’ industry. Every public and most private facilities need capable supervisor. 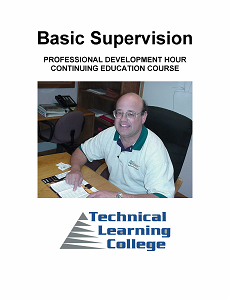 One common problem with most supervisors’ and managers is that they cannot find the time or resources to take advantage to improve their supervisory skills. 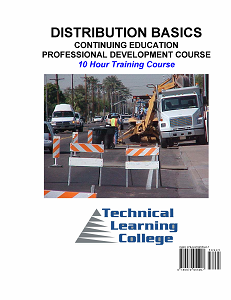 This short distance learning course is a review of basic and various commonly found operator certification mathematics. Topics include word problems, simple algebra problems, simplifying expressions, evaluating and solving equations (chlorine and chemical). Real world operator applications are presented within the course content and a function’s approach is emphasized. 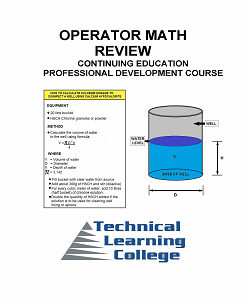 This review course is designed to provide students a basic review of math skills that provide a foundation for all future operator certification examinations. Throughout the course, mathematical concepts will be reviews with an emphasis on real-world operator applications, and treatment related technologies (filter, velocities, pounds per day and pumping questions. Safe drinking water and properly treated effluent free from waterborne disease is the goal of professional operators. This CEU course will generally apply to all categories of water treatment/distribution and wastewater treatment/collection. As water professionals, it is our responsibility to identify, stop, and control all waterborne diseases. 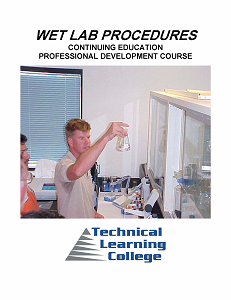 This course was primarily designed for Water Laboratory Analysts, but can be utilized by Wastewater Treatment, Collections, Water Distribution, Well Drillers, Pump Installers, and Water Treatment Operators. 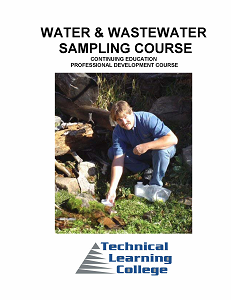 This course is also an excellent introduction for a person interested in working in the water quality field, water/wastewater treatment or distribution or a collections facility and wishing to maintain CEUs for a certification license or to learn how to do the job safely and effectively, and/or to meet education needs for promotion. 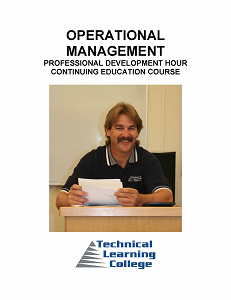 This one contact hour CEU course is a review of pH primarily relating to water and wastewater sampling. This course will cover the fundamentals of pH, measurement procedures, alkalinity, acids and bases. Review of various pipe jointing procedures, water distribution/collection pipefitting, light plumbing, water main and service connections jointing and detailed valve information. 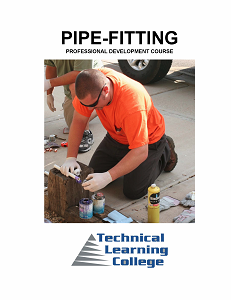 This course will cover the basics of piping, pipe joining/solvent cementing, valves, backflow prevention, water quality and hydraulic fundamentals. You will not need any other materials for this course. 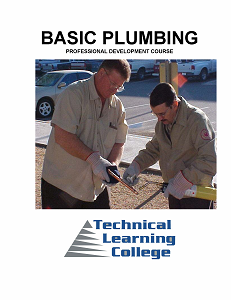 This eight-hour CEU training course will train students in plumbing and backflow principles. 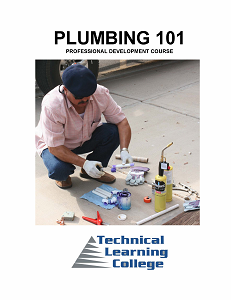 This course was primarily designed to teach technical knowledge in basic plumbing procedures; to lay out, assemble, install, and maintain piping, fixtures, and piping systems for stream, hot water, heating, cooling, draining, lubricating, sprinkling, and industrial processing systems. Includes instruction in material selection and use of tools to cut, bend, join, and weld pipes. 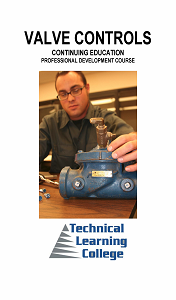 The student will also be able to identify and describe various backflow prevention methods and assemblies. This 12-hour CEU precept based learning course will review various point-of-use water treatment devices and methods including Nanofiltration, Ultrafiltration and Reverse Osmosis. This course will also cover water including water chemistry principles, EPA rules and commonly found water contaminants. This course is general in nature and not state specific. You will not need any other materials for this course. Review of water treatment and filter operation, starting with hydraulic fundamentals and advancing to the rules of the Safe Drinking Water Act. The challenges faced in treating drinking water are to simultaneously meet compliance requirements while maintaining operational and maintenance conditions throughout the treatment process. Individuals involved with water treatment process control are required not only to manage quality changes in the plant but communicate those changes with other parties involved, such as plant management and staff. 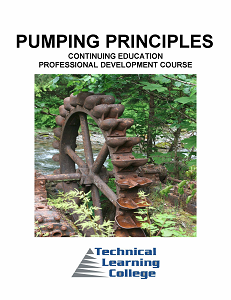 This short CEU course will review various hydraulic principles and basic pumping foundations to properly understand and explain the operation and function of primary water/wastewater related pumps and equipment. 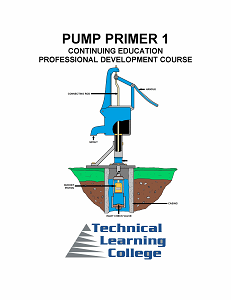 This short CEU course will review various hydraulic principles and basic pumping foundations to properly explain the operation and function of primary water/wastewater related pumps and equipment. This short CEU course will review various pumping and motoring principles and to properly Explain the operation and lifting water with electricity. Review of pump operation, starting with hydraulic fundamentals and advancing to the electrical power and related components of pumping water. The student will develop an understanding of the engineering science pertaining to liquid pressure, flow and pumping dynamics. This course will cover the basics of hydraulic fundamentals commonly related to the study of the mechanical properties of water. This course will also examine hydrostatics or fluid mechanics as well as the history and development of pumps, hydraulics and the science of fluids. This training course will present several familiar topics in pumping along with hydraulics and hydrostatics that often appear in most educational expositions of introductory science, and which are also of historical interest and can enliven a student’s educational experience. 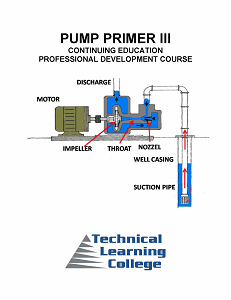 The main purpose of this course is to provide continuing education in understanding various water lifting procedures, basic pump fundamentals, hydraulic principles, theory, maintenance, related electrical and motor principles. 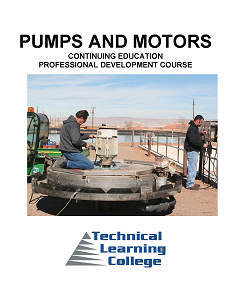 This CEU course will review various pump and motor operations, starting with proper hydraulic sizing and electrical demand requirements and advancing to the electrical power and other related hydraulic components of pumping water. 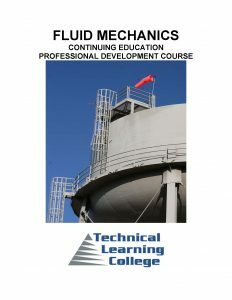 This course will present the student the engineering science pertaining to liquid pressure, flow and pumping dynamics. This course will cover the basics of hydraulic fundamentals commonly related to the study of the mechanical properties of water. This course will also examine hydrostatics or fluid mechanics as well as the history and development of pumps, hydraulics and the science of fluids. Inhaling pesticide and other dangerous fumes and mists is a very common entry route of poisons into the body. Absorption through the lungs is great and the sensitivity is high. Protective equipment is usually required by the pesticide label in one form or another and is integral to safe pesticide application. 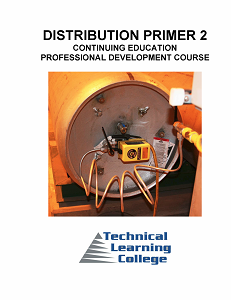 This CEU course is a review of various industrial controls i.e. SCADA, telemetry and security principles. This course is general in nature and not state specific. You will not need any other materials for this course. How to monitor water/wastewater equipment. How to adjust various water/wastewater equipment. How to protect SCADA systems and related assets. You will not need any other materials for this course. The act provides for the establishment of primary regulations for the protection of the public health and secondary regulations relating to the taste, odor, and appearance of drinking water. Primary drinking water regulations, by definition, include either a maximum contaminant level (MCL) or, when a MCL is not economically or technologically feasible, a prescribed treatment technique which would prevent adverse health effects to humans. An MCL is the permissible level of a contaminant in water that is delivered to any user of a public water system. Primary and secondary drinking water regulations are stated in 40 CFR 141 and 143, respectively. As amended in 1986, the EPA is required to set maximum contaminant levels for 83 contaminants deemed harmful to humans (with specific deadlines). It also has authority over groundwater. Water agencies are required to monitor water to ensure it meets standards. This short CEU course will cover various water and re-use storage facilities, including maintenance and operational concerns including the EPA lead reduction Act requirements. This CEU course can be useful for Wastewater Treatment operators for many wastewater operators utilize storage tanks and facilities for re-use water. Many WWT facilities utilize re-use water for landscaping, or other non-potable uses, from recreational use, to fire suppression. Treated wastewater is often used for water features, like fountains, lakes, irrigation and even for processing for potable use. Treated wastewater or re-use water utilizes similar materials, equipment and facilities as potable storage and basically there is no difference between a potable and non-potable water storage system. This CEU training course will cover various processes found in surface water treatment production processes, methods and chemistry fundamentals, starting at the source of water and ending with disinfection and delivery to the public. As professional Operators, we need to make sure that our finished water meets federal compliance and minimum water quality standards. We need to be on the cutting edge of knowledge to be ready to answer any of our customer’s questions. 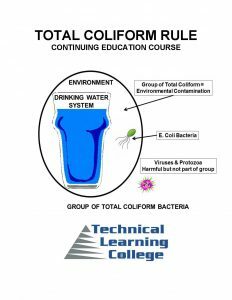 This CEU course is a review of Environmental Protection Agency’s Total Coliform Rule and covers to proper biological water sampling, water sample preservation, reporting, and other related microbiological/sampling concerns. 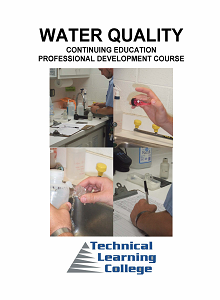 This course will cover the basic requirements of the federal rule concerning water sampling. 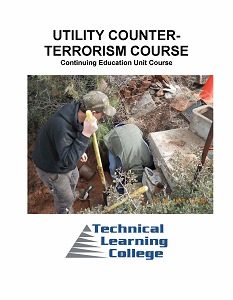 “Utility Counter – Terrorism Course” was developed in response to concerns of a lack of security in water and wastewater treatment plants. The objectives of this course are to provide water and wastewater treatment operators with information about the need for security, the basic methodology involved in security planning, resources available for security planning such as vulnerability templates, customizing a security plan and adding security plan results into an emergency response plan. 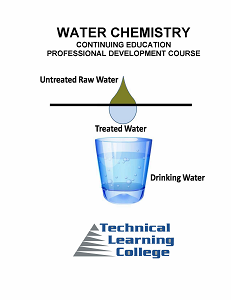 This short technical continuing education course will address the function, application and selection of various valves (control devices) used in every stage of the water treatment cycle from raw water intake to the treated wastewater discharge. 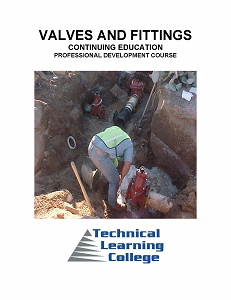 This course will cover criteria for selecting and applying check valves, air relief, automatic valves on wells, in raw water pumping stations, in the water treatment plant, and in potable water storage and distribution systems as well as in sewage lift stations, on force mains, in wastewater treatment plants, on effluent and reuse pumping. This short technical continuing education course will address the function, application and selection of various valves (control devices) used in every stage of the water-wastewater treatment cycle from raw water intake to the treated wastewater discharge. 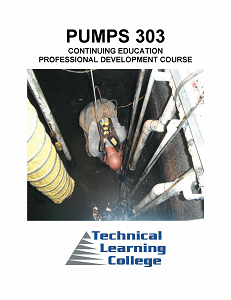 This course will cover criteria for selecting and applying check valves, air relief, automatic valves on wells, in raw water pumping stations, in the water treatment plant, and in potable water storage and distribution systems as well as in sewage lift stations, on force mains, in wastewater treatment plants, on effluent and reuse pumping. 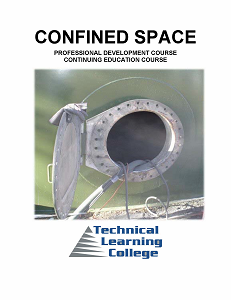 This contact hour course will cover the new lead reduction requirements of the Safe Drinking Water Act and general water valving and hydraulic principles. This course will specifically cover the EPA Reduction of Lead in Drinking Water Rule and various pipe installation materials, methods and conventional disinfection procedures. 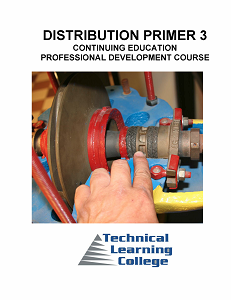 This course covers common pipe joints, fittings installation materials, construction methods, disinfection procedures, backflow concerns, methods, assemblies, cross-connections prevention methods, water valves, valve operating procedures, pipeline hydraulic principles and terms related to water carrying methods. This CEU course is a review of Environmental Protection Agency’s Rules and Regulation relating to water and wastewater sampling. This course will cover the fundamentals and basic requirements of the federal rule concerning water and wastewater sampling and general laboratory operations. 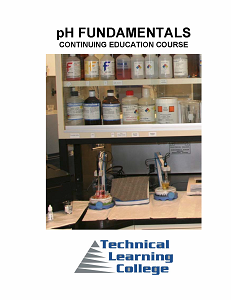 This distance learning CEU training course will examine various general aspects of commonly found conventional water/wastewater chemistry procedures which are utilized for proper examination of common found contaminants or used water chemicals, pH, acid-bases, and the periodic table. 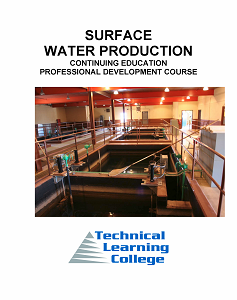 This course was designed to provide continuing education credit to water and/ or wastewater treatment operators. This is a review of the EPA’s Water Conservation guidelines and the Safe Drinking Water Act’s Water Conservation guidelines. Review of water conservation ideas, methods and water audits. Sec. 1455. (a) Guidelines. — Not later than 2 years after the date of enactment of the Safe Drinking Water Act Amendments of 1996, the Administrator shall publish in the Federal Register guidelines for water conservation plans for public water systems serving fewer than 3,300 persons, public water systems serving between 3,300 and 10,000 persons, and public water systems serving more than 10,000 persons, taking into consideration such factors as water availability and climate. This CEU course is a review of Environmental Protection Agency’s Rules and Regulation relating to proper water sampling, water sample preservation, reporting, MCLS and related microbiological concerns. 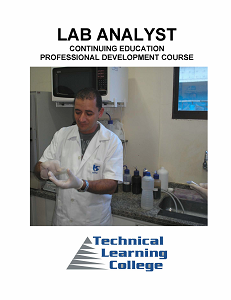 This course will cover the basic requirements of the federal rule concerning water sampling (TCR) and general laboratory operations. This CEU course is a review of Environmental Protection Agency’s Rules and Regulation related to water quality and water sampling. This course will cover water quality fundamentals and basic requirements of the federal rule which concerning water sampling and general laboratory operations. This course will also cover water sampling techniques, waterborne disease identification, general water quality operations and definitions; disease symptoms, disease diagnosis, history, susceptibility, and disease sources of contamination. This course will apply to all categories of water treatment/distribution. As water professionals, it is your responsibility to identify, stop and control all waterborne diseases, and provide drinking water that meets minimum drinking water standards. This course is a review of commonly found water and wastewater diseases, symptoms, and identification techniques. It is essential for water/wastewater operators to properly identify waterborne diseases to protect the integrity of the water supply. This course will cover the federal rules concerning water and wastewater sampling techniques, waterborne disease control, general water quality operations and definitions; disease symptoms; disease diagnosis; history; susceptibility; and disease sources of contamination. This course will apply to all categories of water treatment/distribution and wastewater treatment/collection. It is our responsibility to identify, stop and control all waterborne diseases. 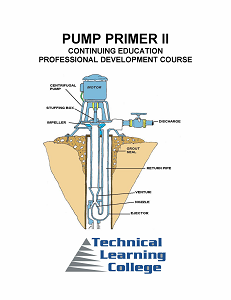 This CEU training course is a detailed explanation of groundwater production and groundwater mining along with detailed understanding pumps and motors. 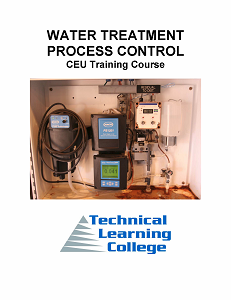 This is an excellent CEU training course that applies to both Water Treatment and Distribution Operators. 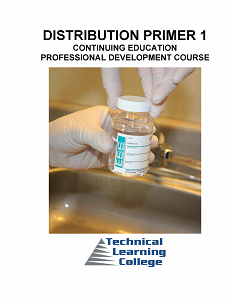 This course also covers in detail: distribution, disinfection, chlorine, O3 and disinfection alternatives, and related disinfection byproduct fundamentals. This course will briefly cover various water quality issues E.G., tastes and odor problems and MCL/EPA Rules. 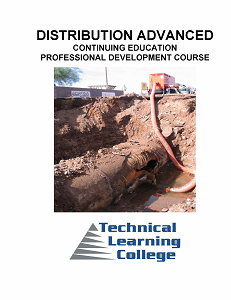 This course will also cover advanced groundwater production, protection and distribution problem solving solutions. This short CEU course will review commonly found water and wastewater diseases, symptoms and identification techniques. 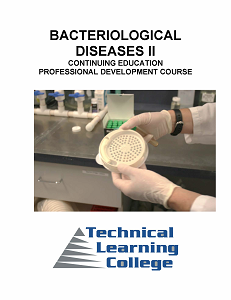 This course will cover water and wastewater sampling techniques, waterborne disease identification ND control, general water quality operations and definitions; disease symptoms; disease diagnosis; history; susceptibility; and disease sources of contamination. This course will apply to all categories of water treatment/distribution and wastewater treatment/collection. As water professionals, it is our responsibility to identify, stop and control all waterborne diseases.